October 24, 2008-Ashland, Ore.–Time spent with free-roaming giraffes on the plains of West Africa landed Oregon writer Jennifer Margulis the cover story of the November issue of Smithsonian Magazine, one of the country’s most respected publications. Margulis first observed the giraffes 15 years ago, according to Smithsonian Magazine’s Executive Director Carey Winfrey. “Margulis has been interested in Niger’s free-roaming giraffes for some fifteen years, ever since she lived in that parched country working for a nonprofit development agency in 1992 and 1993,” Winfrey wrote in the magazine’s profile of the author. Niger’s giraffes, Giraffa camelopardalis peralta, are the last giraffes anywhere in Africa that live side by side with villagers in their natural habitat. 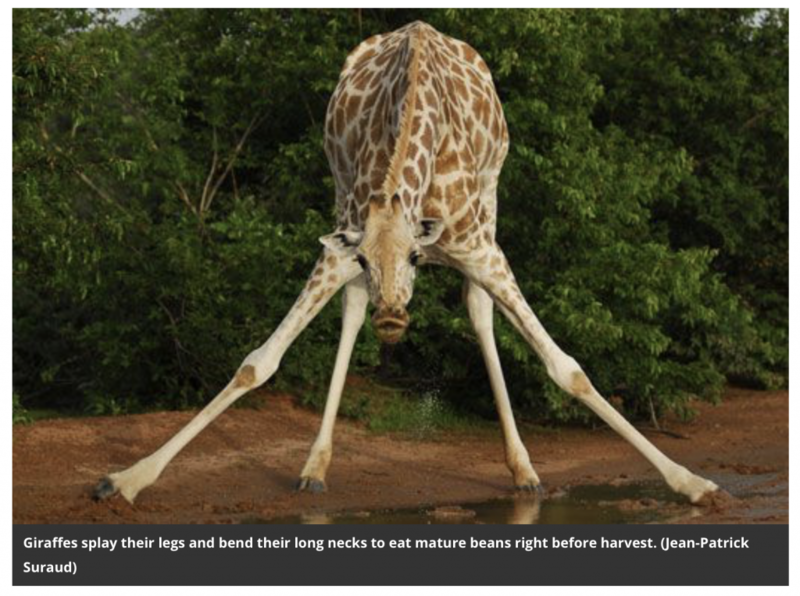 They are not on protected nature reserve, like giraffes elsewhere in Africa. Though the exotic creates are on the verge of extinction, Margulis’ article captures a hopeful tone for their survival. The last census data shows that the herd is healthy and the population is on the rise. Despite a scarcity of resources and a hostile environment, the giraffes seem to be thriving. Margulis’ story depicts scenes of a remote, parched, yet beautiful place that few Americans have heard of and even fewer have visited. While the picturesque descriptions are reminiscent of our romantic images of the desert, much of the article is surprising, like Margulis’s description of parka-wearing guides setting out in searing heat in search of the towering animals. Margulis lives in Ashland, Ore., with her husband and three children. The whole family trekked together through Africa during Margulis’ year in Niger as a Fulbright Scholar from 2006 – 2007. “I’ve written for many publications, but this cover story, with its beautiful look and brilliant photos is something I am extremely proud of,” Margulis said of the accomplishment. A profile of Margulis is also in the magazine, penned by Winfrey in his Editor’s Note column. Margulis, who used to write a weekly parenting column in the Ashland Daily Tidings, has won several awards for her work, including an Independent Publishers Book Association Award. She has appeared live on prime-time TV in France and has also published articles in The New York Times, the Washington Post, Ms Magazine, and Military History Quarterly. She is the author of two books about parenting: Why Babies Do That and The Baby Bonding Book for Dads (with James di Properzio), she’s also the editor and co-author of Toddler: Real-Life Stories of Those Fickle, Irrational, Urgent, Tiny People We Love and of a classroom edition of an 18th century American play about white slaves in North Africa. Laura Helmuth, the Smithsonian editor responsible for the article, can be reached at: [email protected] or (202) 633-5982. Jennifer Margulis can be reached at jennifermargulis [at] jeffnet.org. Photos available upon request. Congrats, Jennifer! Smithsonian is my sister’s absolute FAVORITE magazine — I’ll have to brag to her that I know one of its writers! !